The Lithuanian Jewish Community (LJC) has dissociated itself from publicly made allegations that Adolfas Ramanauskas-Vanagas, a Lithuanian anti-Soviet resistance commander, was possibly involved in Holocaust crimes. 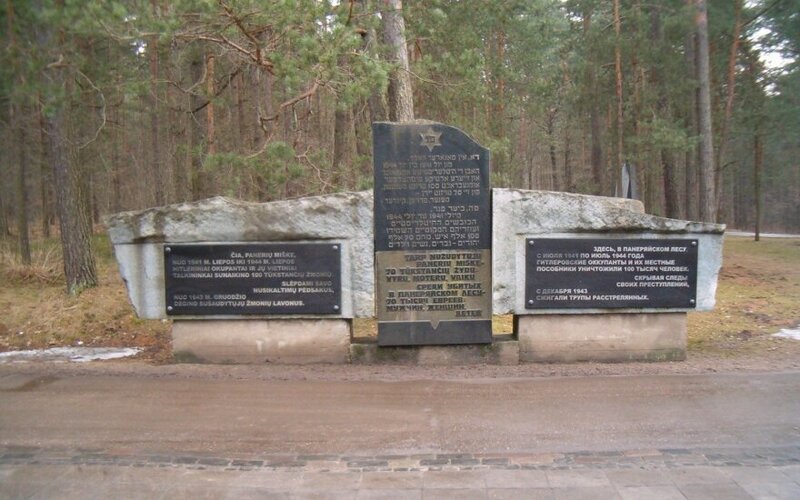 "Lithuanian Jewish Community at this time has no reliable, historical documentary-based evidence confirming the allegations against Ramanauskas-Vanagas in connection with the Lithuanian Jewish Holocaust," the LJC said in a statement. Comments about Ramanauskas-Vanagas' alleged role in the Holocaust have recently been made by Rūta Vanagaitė, a writer and public relations specialist, and her partner, Efraim Zuroff of the Simon Wiesenthal Center. Vanagaitė also said that, based on KGB documents, Ramanauskas-Vanagas "is no hero". According to her, the partisan commander was not tortured by the Soviets and he possibly collaborated with the KGB. There is a unanimous consensus among Lithuanian historians that Ramanauskas-Vanagas was brutally tortured by Soviet officials for his role in the Lithuanian resistance fight and that there is no evidence suggesting his involvement in the Holocaust. Publicly available documents show that the man was castrated by his torturers, had one of his eyes pierced and fell into a coma. He was eventually executed by Soviet officials. Alma Littera, the publisher of a number of books by Vanagaitė, described the writer's allegations against Ramanauskas-Vanagas as unacceptable and ceased cooperation with her. The LJC said in the statement that it respected the right of the privately-owned publishing house "to carry out and develop its business strategy at its will", but called its decision to withdraw her books "completely unnecessary, disproportionate, and promoting unnecessary confrontation". "By appealing to all parties to refrain from any hasty statements encouraging social discord, LJC emphasizes that the discussion on the complex issues of Lithuanian- Jewish history must be guided by the principles of respect, openness and honesty," it said. The European Jewish Congress (EJC), led by Russian businessman Moshe Kantor, earlier this week came to the defense of Vanagaitė, saying that "she should be praised instead of being attacked". "It should be unthinkable that in 2017, books with views that some disagree with are prevented from publication on purely political grounds and is reminiscent of far darker times," Kantor, the EJL president, said in a statement. "Rūta is a brave woman whose voice is necessary for Lithuanians to face their past, especially during the Holocaust, and she should be praised instead of being attacked," he said. The statement calls on Lithuania to "seriously examine the role of Lithuanians during the Nazi occupation, to cease honoring (those) who took part in collaborating with the Nazi occupation and who played an active role in the murders of Lithuanian Jews". "Lithuania has been working for many years now in the field of Holocaust research and education in consultation with international Jewish organizations, as well as with the World Jewish Congress and the European Jewish Congress. 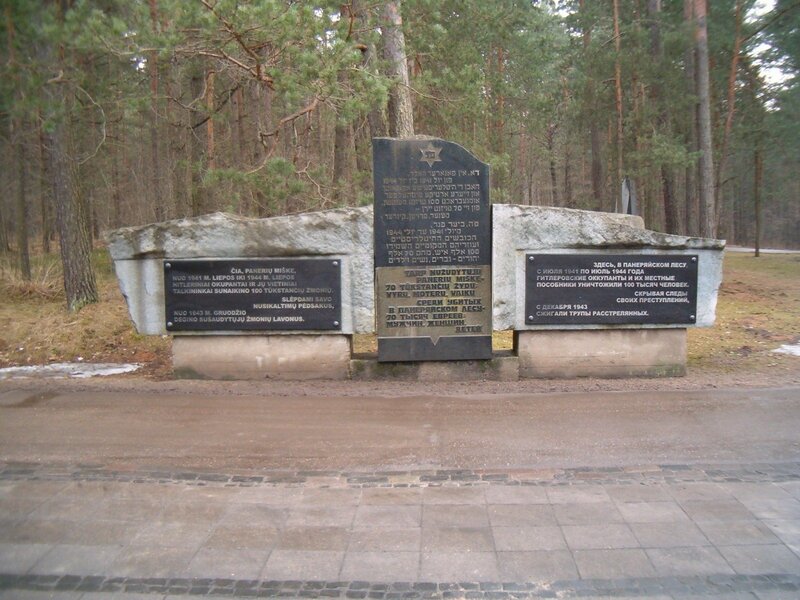 Placing the genocide of Jews and anti-Soviet resistance in Lithuania in opposition to one another in this context is completely unacceptable and only serves to distort history," the ministry said in a press release. "We can only regret the European Jewish Congress' statement," it said. The Lithuanian parliament plans to designate 2018 as the year of Ramanauskas-Vanagas to mark his 100th birth anniversary. Major NKVD forces were deployed to Lithuania to fight the partisans. The repressive structures deported their families to the Siberia and displayed executed partisans' half-naked corpses in central streets of small towns to discourage further resistance. The organized armed resistance against the Soviet occupation ended in the spring of 1953.